You are here:Home » MRC News » Science » What Is LagoonWatch? LagoonWatch is a citizen science water quality monitoring program that fosters community involvement in water quality issues throughout the IRL. The goal of the LagoonWatch program is to provide lagoon-wide data to better understand changes in water quality over time. Since the establishment of the program in 1989, hundreds of volunteers have been trained and equipped to collect and report data on a dozen variables related to water quality. Currently we have about 80 monitors that collect weekly data which will soon be publicly available on an interactive data and mapping platform. Please contact us if you would like to help us collect water quality data in order to better understand the Indian River Lagoon. Be a part of one of the longest running data sets of lagoon health! 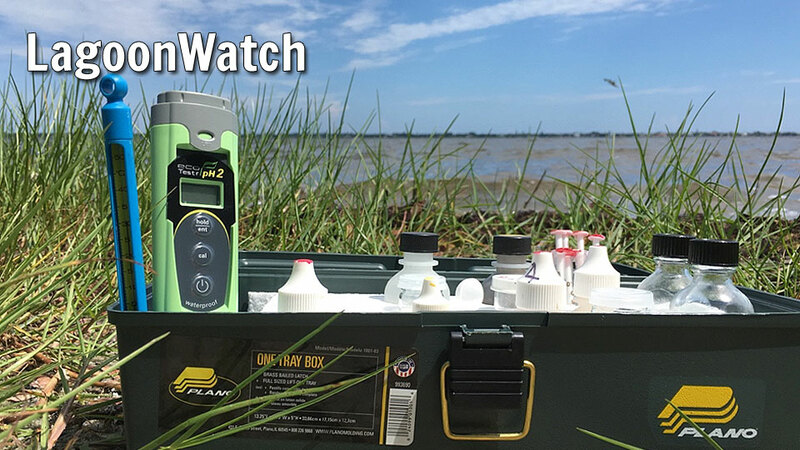 Join the MRC LagoonWatch program and conduct weekly water-quality tests to monitor the health of the Lagoon.